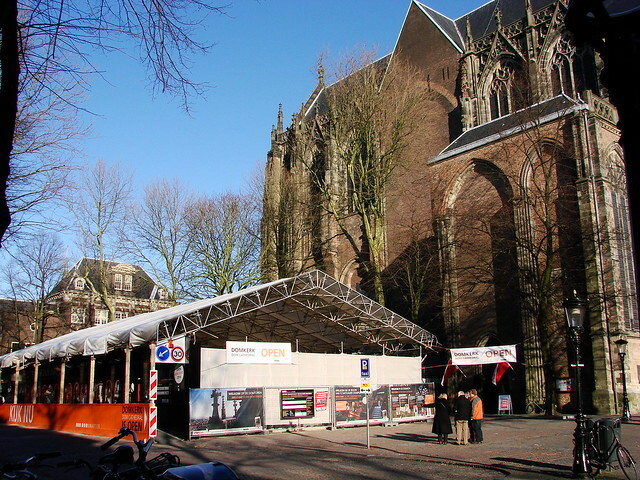 The big news in Utrecht today is the recent discovery of a Roman road in the Domplein (cathedral square). Excavations going on in the square, as part of the development of a new permanent exhibit of the city’s history, have unearthed more than the old pillars and foundations of the churches that have stood on the spot since the 7th century. 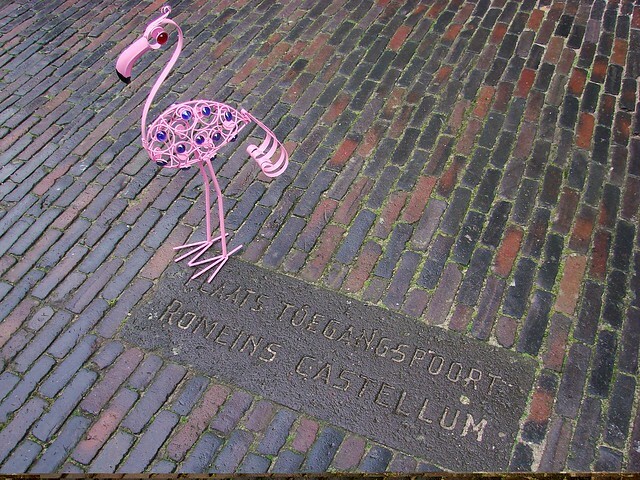 It’s not a surprise that there would be a Roman road in the center of Utrecht. After all, it’s well known that the Romans set up a fort in what is now the Domplein in 47 AD. The area has been inhabited in one form or another ever since. Still, it’s exciting to find some of the actual remains, which will become part of the overall Schatkamer (Treasury) exhibit that opens in June 2014. 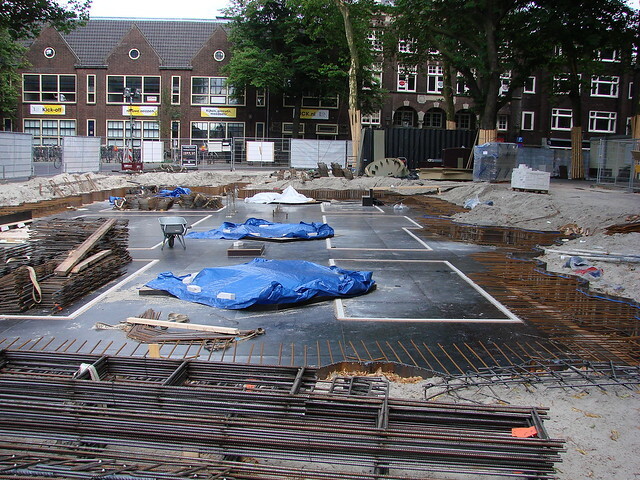 Tours will be available, but the uncovered architecture and settlements will also be visible through a glass walkway over the structure in the ground of the Domplein. There are more than 5 meters worth of history to be explored. 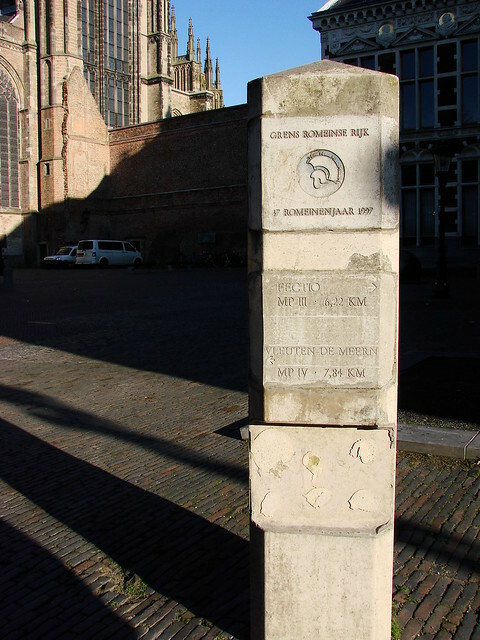 The Schatkamer will be a great addition to the already established markers throughout the square, signifying borders of the Roman Empire and the actual outlines — marked on the Domplein, in Domstraat, and in Servetstraat — of the original Roman fortress. 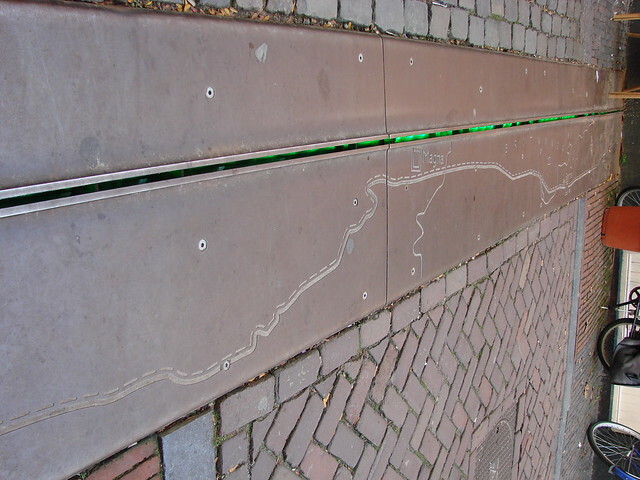 Markers like these can be found around the Domplein and light up at night as part of the Trajectum Lumen light display. A plaque marks the spot where the entrance gate to the Roman fort stood. It can be found behind the cathedral. A photo taken earlier in the summer when the excavation was in its early stages (early enough to replace the flooring for an event that weekend). This entry was posted in architecture, history, museums, news, photos, points of interest and tagged all roads lead to rome, ancient history, architecture, domplein, photography, roman empire, roman road, schatkamer, utrecht cathedral, utrecht discoveries by Alison. Bookmark the permalink. Hey Alison! Isn’t that Roman road a cool find? I know it’s only logical that some sort of road would be there, like you said, or near the city centre at least, but still. There’s probably remains of old roads all over the place if you dig deep enough. I love the thought of living in a place that has been inhabited for so many centuries! Hey! Do you have internet now? All settled in? It really is exciting to have discoveries like this and the old boats they found a few years ago. Even though you might know the history, it’s always more personal when you can connect with it visually like this. Nearly 2000 years of history in one spot really makes it even more exciting! Hey! Yes I’m all settled in and my internet has been fixed last week. Want to catch up next week or so? Just email me. And yes, it’s so much more interesting when you can “see history” with your own eyes. I love that old boat at the Centraal Museum for that reason, and all the markers around de Dom. 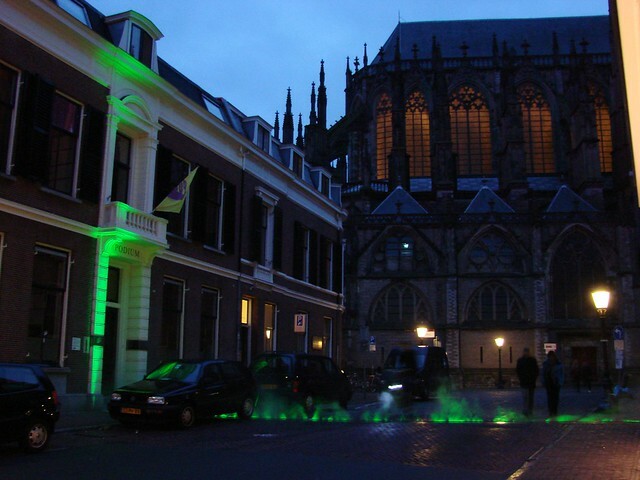 Utrecht is a great city to study History in, I loved it!